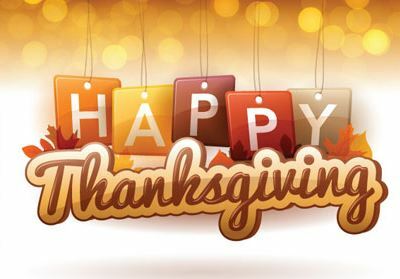 Thanksgiving Day brings to mind the blessings in our lives that usually go unnoticed: a home that surrounds us with comfort and protection; delicious food, for pleasure in both eating and sharing; clothes to snuggle up in, books and good entertainment to expand our minds; and freedom to worship our God. Most of all we are thankful for our family and friends, those treasured people who make our lives extra special. You are part of that cherished group. On Thanksgiving, (and every day) we appreciate you.